Keisuke Yamada comes from Sendai in Japan. Now based in Tokyo, he is a graphic designer and founder of City Boys FC, an amateur futsal team and a creative football brand. Keisuke supports Vegalta Sendai, the club of his hometown but above all, he loves the football from the 80’s. His favorite players are Platini, Tigana, Burruchaga, Francescoli and Kazuyoshi Miura. 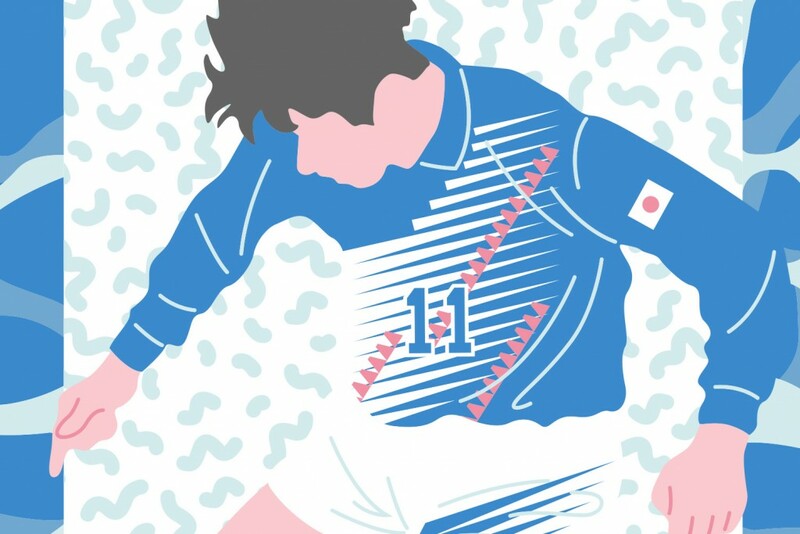 Kazuyoshi aka Kazu was arguably Japan’s first football superstar. Still today, he holds two major records, from being the oldest footballer and oldest goalscorer in Japan’s professional leagues at aged 48. In November 2015, he signed a new one-year contract with Yokohama FC – a team playing in J-League 2. With Brazilian Rivaldo, King Kazu is one of the few players who’s played in 4 different continents. Brazil, Italy, Australia and Japan being the countries he’s played in. 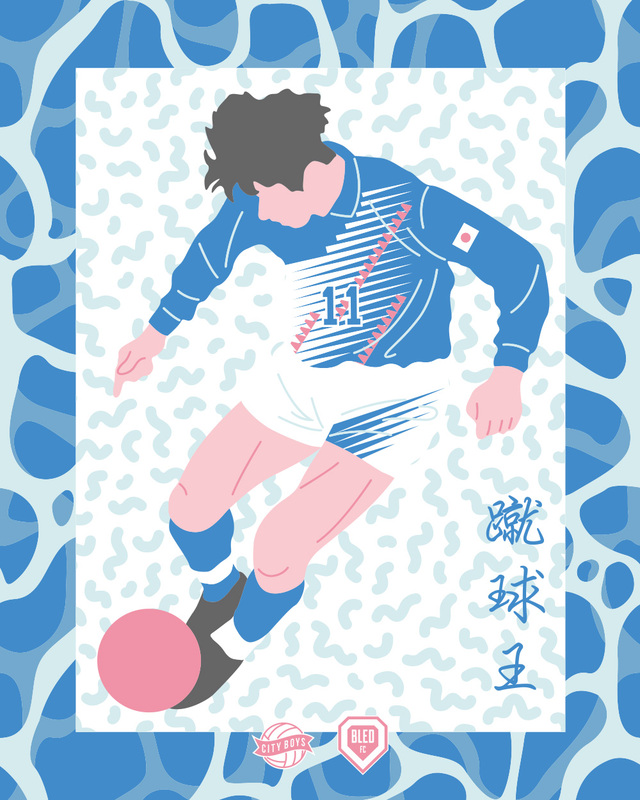 Here is the first Keisuke’s artwork made specially for Bled FC, which features his idol Kazu. “蹴球王” meaning “King of Football”, it makes reference to his nickname King Kazu, given to him by Japanese supporters.